Every summer season, individuals and families love to head out to the beach. Who wouldn’t want to enjoy the sun, the sea, and the sand for the months when the weather becomes too hot? One of the staple equipment that people bring on their trips to the beach is a beach chair. Not only do they provide you a relaxing place to sit back and relax, they also let you do your tanning easily. However, for those individuals who are on the heavier and bigger side, finding the right beach chair always proves to be difficult. Most beach chairs sold in the market have a small carrying weight capacity and cannot carry individuals over 350 pounds. So before heading to the beach, make sure that you find the beach chair which has a high weight capacity. Not only will you be able to enjoy the beach, you will also save yourself from the disgrace of toppling over a beach chair in front of other people! What Should You Look For in a Beach Chair for High Weight Capacity? Steel - Beach chairs that are made of steel are durable and strong but they can be more costly than other materials. Another thing with steel beach chairs is that they need proper care to prevent them from rusting and that you should prevent leaving them out under the sun to avoid burning your skin. 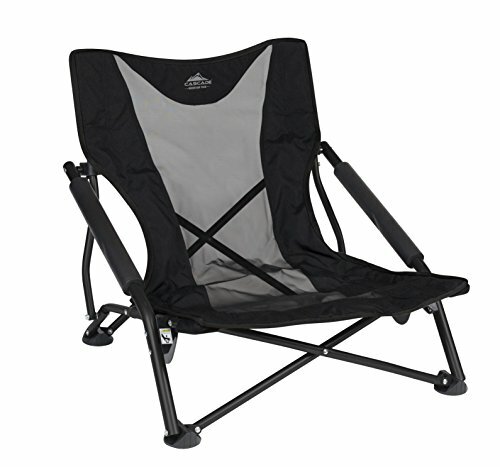 Aluminum - This type of material is the most commonly used for beach chairs because of its lightweight properties. This makes carrying a beach chair easier so you can move spots whenever you want to. However, since aluminum chairs are lightweight, they are also prone to getting dents and have a smaller weight carrying capacity. Wood - Wooden chairs look classy and chic. They also do not conduct heat as much as aluminum and steel beach chairs so you won’t have to worry about burning your skin when you sit on a chair that has been out in the sun for too long. A drawback with wooden beach chairs is that they are heavier to carry around. Since you know your body the most, you should consider what type of back comfort you will need. There are beach chairs that either has a low back or a high back that you can choose from to prevent getting backaches when sitting on your beach chair for long periods of time. One thing to consider for people who are on the heavier side is a beach chair’s sitting position. While some prefer a chair for lower sitting so they can sleep in a laid-back position, this can be harder for someone to get in and out of. Higher sitting beach chairs let you easily sit and stand up. If you prefer having both, check with your local store if they have an adjustable and reclining back that supports heavier people. When you are looking for a beach chair that has a high weight capacity, it does not mean that you should be carrying a heavy beach chair around. This is why it important to find the right beach chair that is made of a durable and sturdy material, yet still light enough that you can easily carry it with you. In addition to the weight of a beach chair, you should choose one which is portable and easy to fold. There are strong and sturdy chairs that can still fold easily and are quite compact. This makes them easier to bring around with you and clean up after your long day at the beach. Though only a minor factor when choosing beach chairs that have a high weight capacity, choosing one that has the right accessories can be a bonus. There are beach chairs that already come equipped with cup holders, armrests, footrests, and even their own foldable umbrellas. 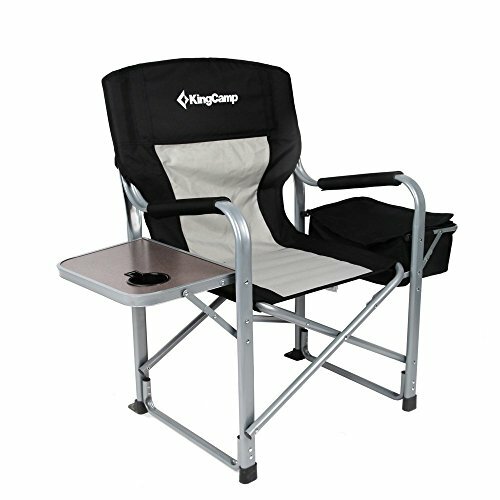 This can save you the space needed for carrying your beach equipment since one chair can already provide you with what you need. So How Do You Decide on The Right Beach Chair? After looking at the factors and considerations that you have to look for in a beach chair, you can now start looking for the right model that will fit your needs. As a pro advice, it would be wise to know your actual weight and choose one which has a higher weight capacity than your actual weight. For example, if you weigh 300 pounds, choose a beach chair that has a carrying capacity of no less than 350 pounds. In doing this, you are giving a wider allowance on the chair’s carrying capacity and avoid falling over from your chair. In addition to the carrying capacity of a chair, the material of a beach chair is a very important factor that you should be looking for. Even though an aluminum beach chair is much more lightweight than a steel beach chair, it may not be the best choice for someone who is on the heavier side. Aluminum can easily get dents and become deformed when exposed to wear and tear. In this manner, choosing a material that can be heavier but can prove to be more durable and sturdier is your better option. By considering these factors in choosing a beach chair that has a high weight capacity, you can enjoy your summer days and nights at the beach!